When it comes to establishing and promoting your record label or artists management company, Magnetic does not skip a beat. 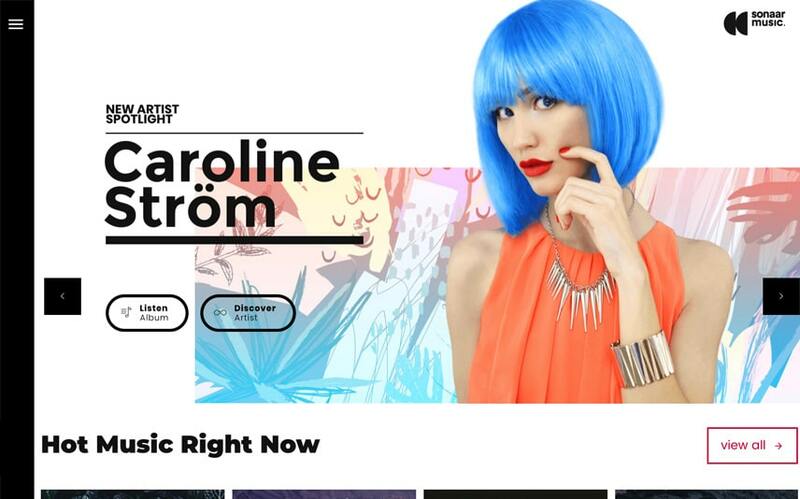 It’s among the top notch record label WordPress theme available on the market is the most advanced music template ever built. 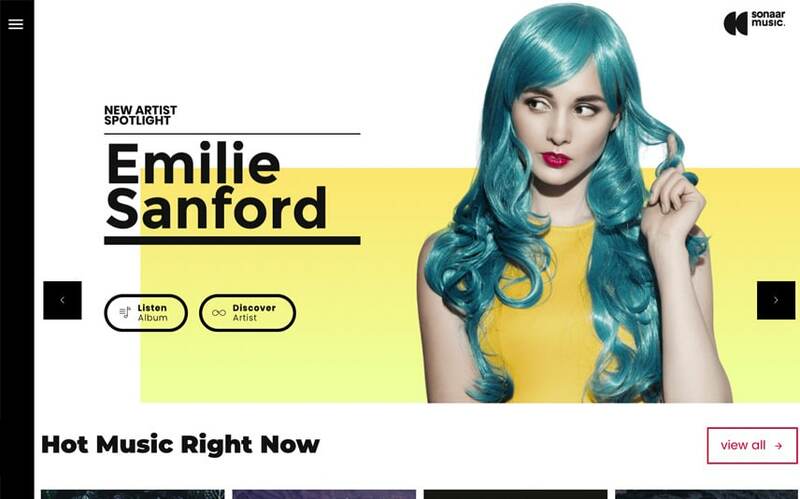 The homepage contains a fullscreen and colorful slider to spotlights your artists or music. 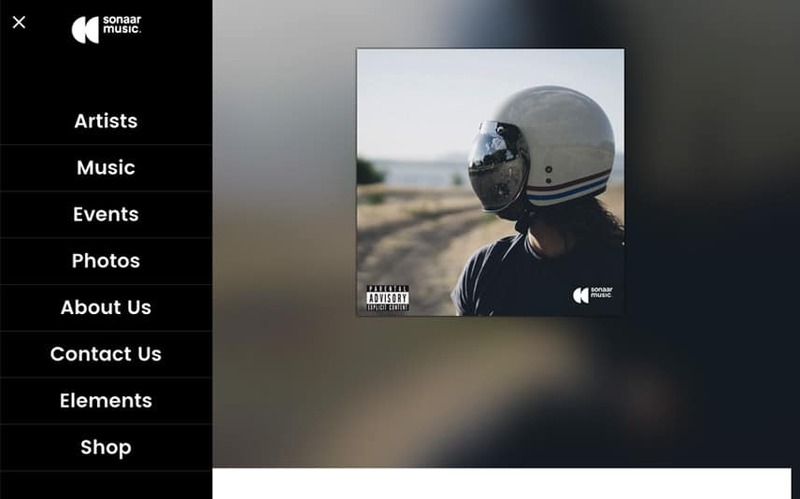 You can showcase your hottest musics and playlists, promote your online shop to sell your merch and products and inform your fans with our latest news, upcoming events and create links to your most important features such as your artist’ catalogue, playlists and album and goodies. 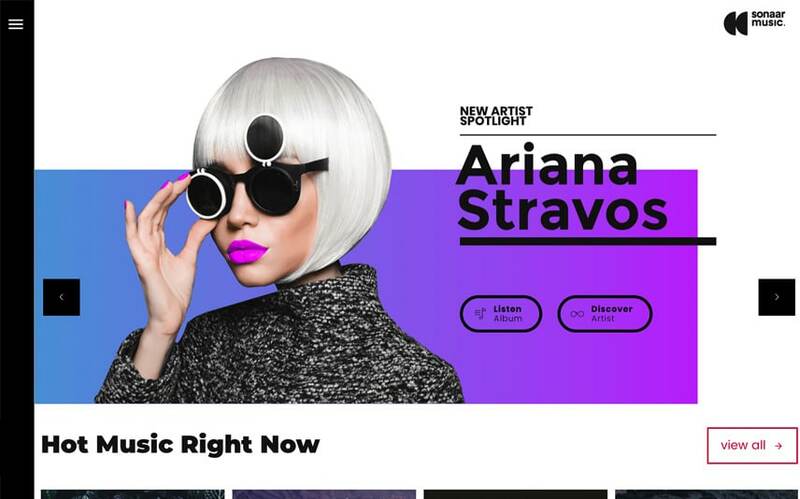 What makes this responsive record label WordPress Theme so fresh and unique is its sharp and stylish push menu bar that brings the user experience to the next level with this music template. 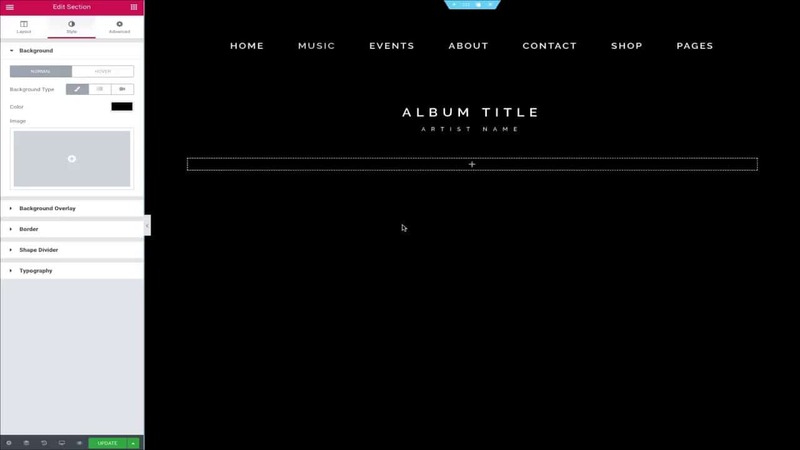 This theme is one of the most complete solutions in the music industry right now for creating a stunning record label website using WordPress. If you are a label agency and you manage music and bands, you will love using this template to showcase your artist bands. You can add unlimited artists to your portfolio and for each of them, you can display full albums, photo and video galleries and upcoming events. Also, you can add unlimited social icons to link to the corresponding artist’s social platform. There are more than 13 custom widgets built for Visual Composer and many custom post types available such as events and discography manager as well as an artists custom post type indeed. 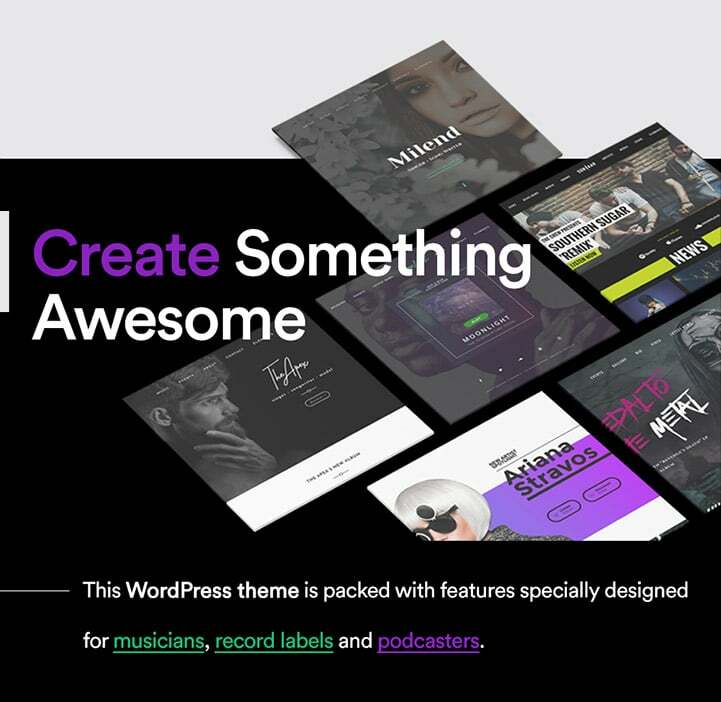 This WordPress theme for Record Label is very easy to use and like every of our music WordPress theme, it has a one-click demo importer to get started. If you want to offer your fans an immersive experience, you can add a huge video background using Revolution Slider plugin which is bundled with this theme. If you are into the entertainment music industry, you will enjoy the way the music player has been designed. Each mp3 players display an EQ graphic bar of your track. This is automatically generated and the audio player is somehow what make music themes for record labels stand out from your competition.